This gorgeous 2011 son of NYN Hisani and Merri Madeline is a national quality performance prospect. He is tall and correct, with a long hooky neck and a tight throat latch. His head is typey with ears that almost touch. He has a sloping shoulder and a powerful croup. 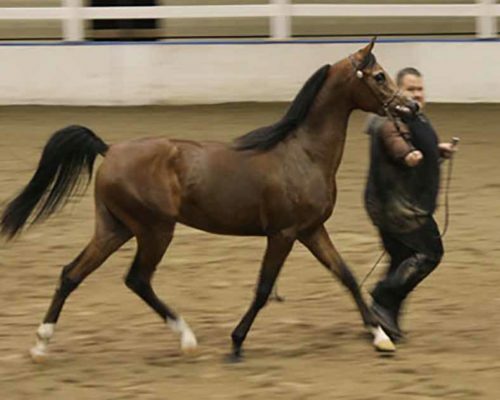 His sire NYN Hisani is the Canadian National Champion and US National Reserve Champion Stallion. 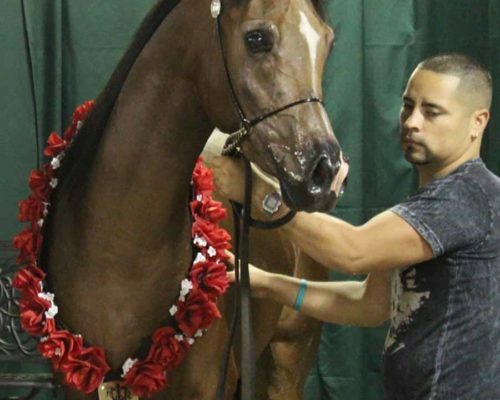 NYN Hisani is currently competing successfully at the national level in western pleasure. Avanti completed his first show in September. 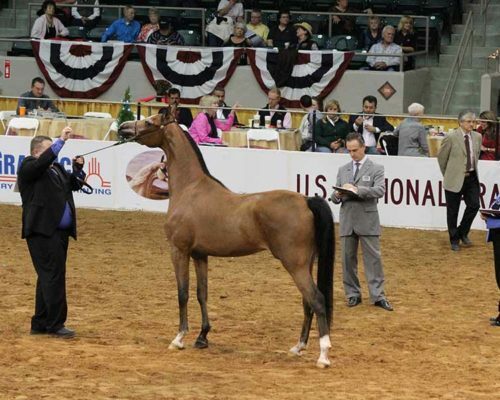 He won his class and the Junior Stallion Championship at the American Royal. Currently in a bridle and surcingle, he moves in perfect frame. Avanti BFA's pedigree says it all. 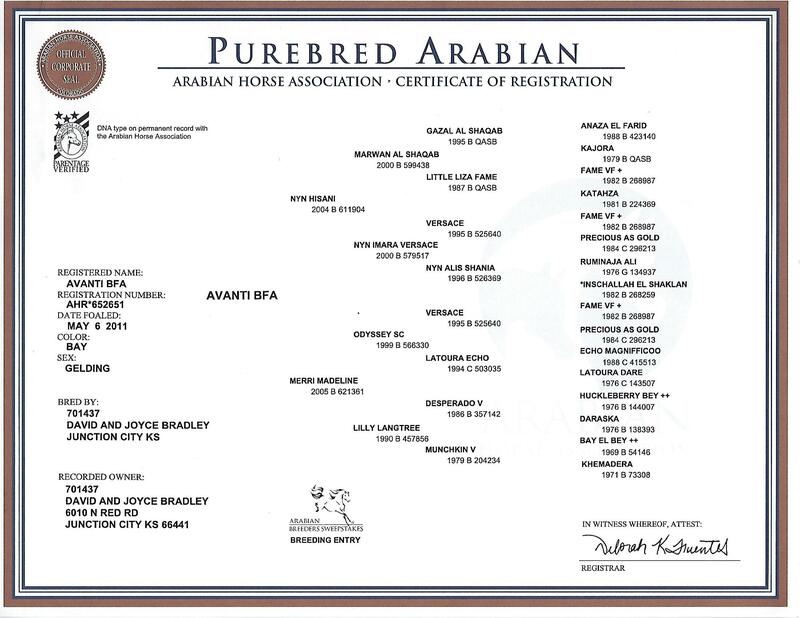 Avanti BFA is eligible to compete in the US and Canadian halter futurities and the Iowa Gold Star, Minnesota Fall Fest and Scottsdale futurity programs.